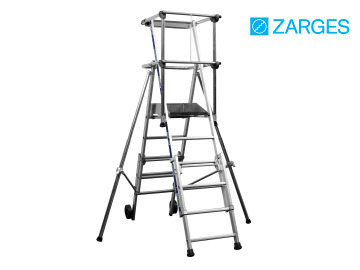 The Zarges Sherpascopic Height-Adjustable Work Platform has an anti-cut design that reduces the risk of injury when handling the product. 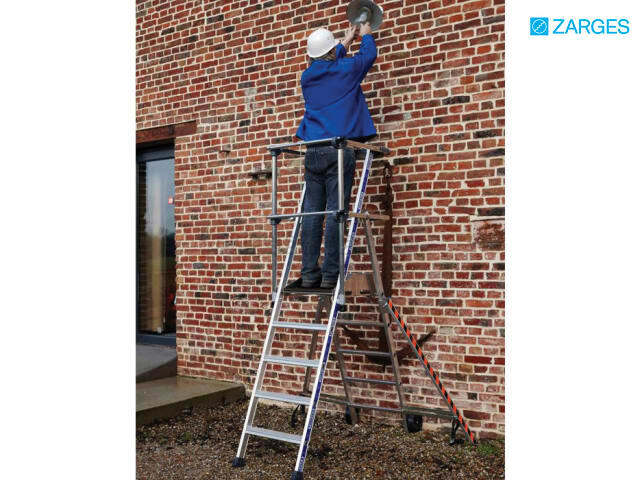 The guardrail system includes an automatically closing gate, providing 360° protection from falls. 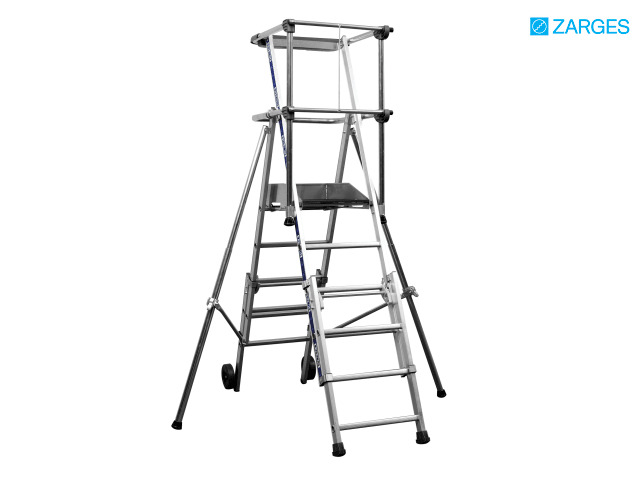 The telescopic system or height adjustment is based on a gravity latch located at the level of the user's hands. 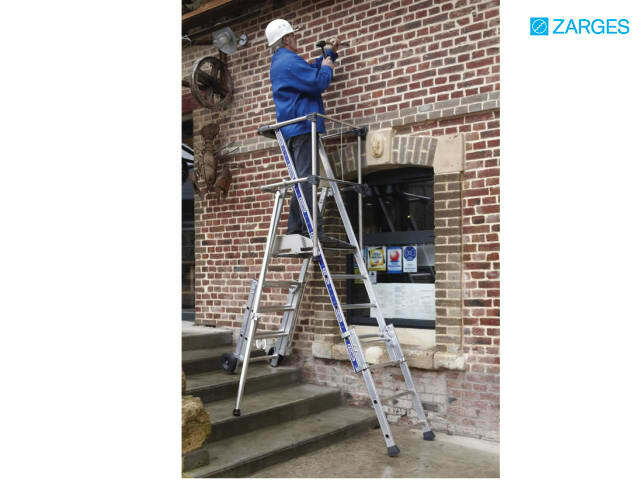 Stabiliser legs feature a telescopic mechanism that allows them to be used on uneven surfaces. When opened the stabilisers face inwards towards the platform, thus optimising its stability during use. The large work area, 600 x 420 mm, and compact dimensions (when folded) means that the system is easy to transport and very versatile. Replaceable 2-component plastic end caps ensure positioning without risk of slipping. Conforms to NF P93-352 standards. Zarges Sherpascopic Height Adjust Podium 2272251. Platform height: 1.06 - 1.53 Metres. Max working height: 3.06 - 3.53 Metres. Number of rungs: 4 - 6. Width: 1.35 - 1.90 Metres. Depth: 1.60 - 1.97 Metres.